This blog post was inspired while reading the book, “How to Think like Leonardo da Vinci” by Michael J. Gelb. The third da Vincian principle, “Sensazione” is an invitation to improve our senses and bring the mind to fully experience the present moment while enlivening life’s experiences along the way. Leonardo da Vinci believed that the secrets of Dimostrazione, as explained in previous blog posts, are revealed through the senses. In this first part of Sensazione, we bring our attention to the sense of smell. Each day, we take in about 440 cubic feet of scent laden air using over 5 million olfactory cells. 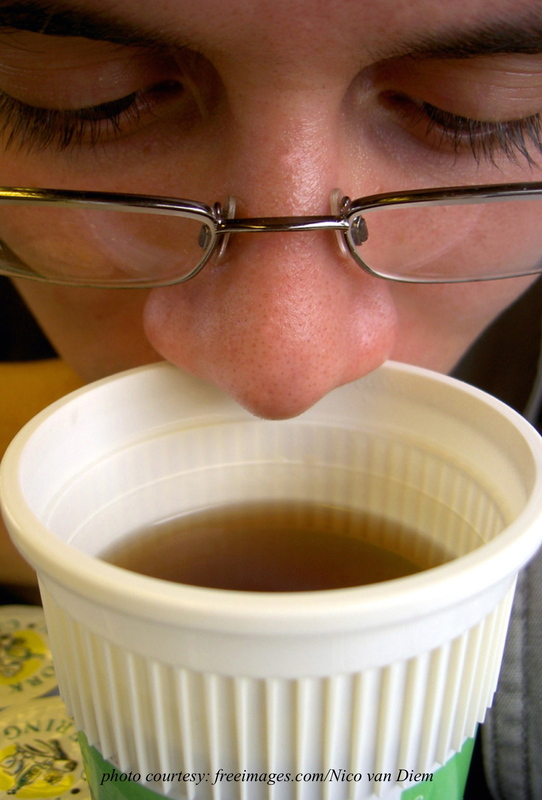 Below are ways to refine your awareness and influence of the sense of smell. Take one week to consider each point below, based on your life experiences. Week 1: Bring your awareness to the sense of smell and notice all aromas from a non-judgemental (neutral) point of view. Week 3: Notice if different odors have an affect on your mood or emotions. Week 4: In this final week focusing on the sense of smell, notice the influence of aromas on your memory. Which smells are strongly connected to fond memories, and which odors are connected to difficult ones? In the next blog post: the sense of taste.